There’s been a lot of artistic synergy (remember that word?) flowing between Langan Park and downtown since Alabama Contemporary Art Center’s “Back to Havana” exhibit arrived. That continues when the Mobile Museum of Art (4850 Museum Drive) hosts its Cuban Festival on Saturday, May 5, from 10 a.m. to 5 p.m.
To accompany the “Common Ground” exhibit in place, MMoA will feature tours and book signings with artists, a lecture on the history of Mobile and Havana as sister cities, sidewalk chalk activity, a live DJ, salsa dancing and a film screening of “Buena Vista Social Club.” Antique and classic cars will be on display as well. 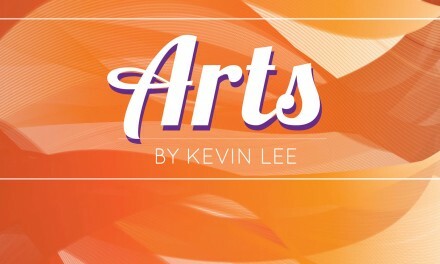 For more information, call 251-208-5200 or visit mobilemuseumofart.com. The Mobile Area Water and Sewer System is hosting the 12th annual Fun with Water Watercolor Contest for students in grades K-12. Participants are invited to depict their favorite water-oriented activity, from watering the garden to beach trips to playing in the rain. All entries will be on display at The Shoppes at Bel Air, June 1-17. Prizes will be awarded in grade categories K-2, 3-5, 6-8, 9-12 and to an overall winner. All winners will receive $100 gift cards. The grand prize winner and their sponsoring school or community organization will receive $250 gift cards. Deadline for entries is May 18. Entries can be dropped at The Shoppes at Bel Air management office, the MAWSS payment center (1060 Springhill Ave.) or MAWSS Park Forest Plaza (4725 Moffett Road). To download rules and entry form, visit mawss.com. The Alabama Contemporary Art Center (301 Conti St.) will hold five-day art camps for ages 5-17, running June through July. They will teach a range of skills from graffiti to animation to printmaking, and utilize the “Back to Havana” exhibit as inspiration. • Fashion Camp for ages 13-17, July 16-20, 12:30-3:30 p.m.
For more information, call 251-208-5671 or visit alabamacontemporary.org.